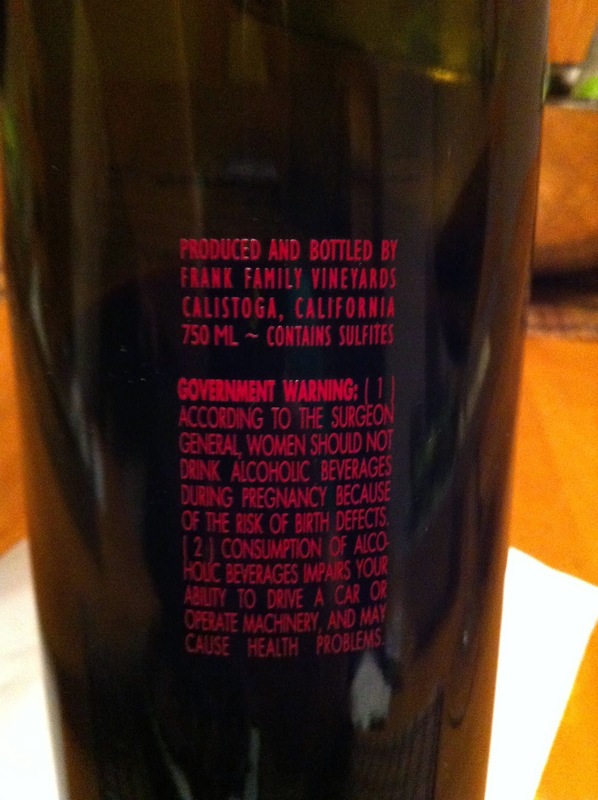 We bought this wine at a recent, and very underwhelming visit to the tasting room at Frank Family. I had tried their wines previously, so knew they made some good stuff - otherwise I never would have purchased anything based on our experience with their "Reserve" tasting. Forgetting about that experience, and looking forward to a nice steak for dinner, let's taste this wine with an open mind! Aeration before tasting: Poured through a Vinturi for aeration. 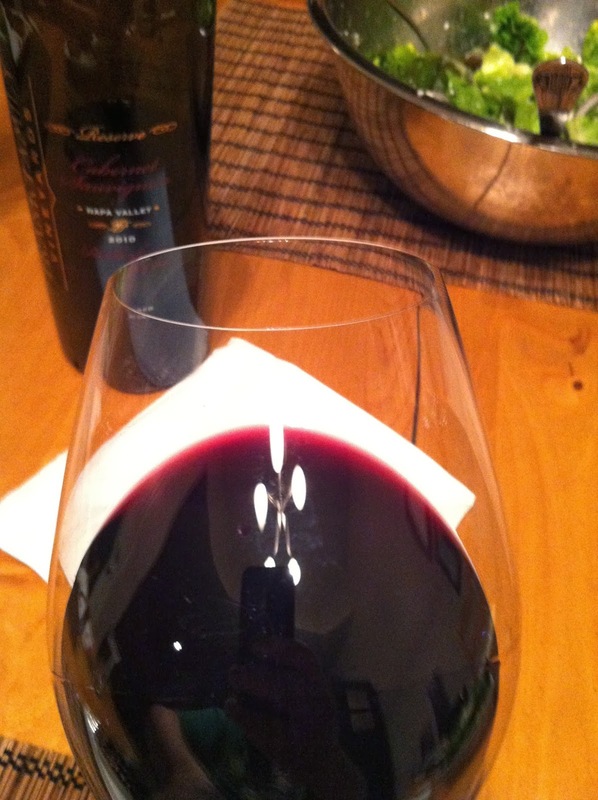 Appearance: Wine is dark purple with a water white rim. Aroma: Red fruit like cherries, something herbal, and a bit of baking spices. Taste: Nice level of fairly soft tannins, flavorful but not too "big", with a very nice finish. The Grade: I give this one an A. Many of the 2010 Napa Cabs will not be best to drink for probably a couple of years, but this one is very drinkable now and very tasty! A big expensive, but if you are looking for something you can drink now - I recommend this one. 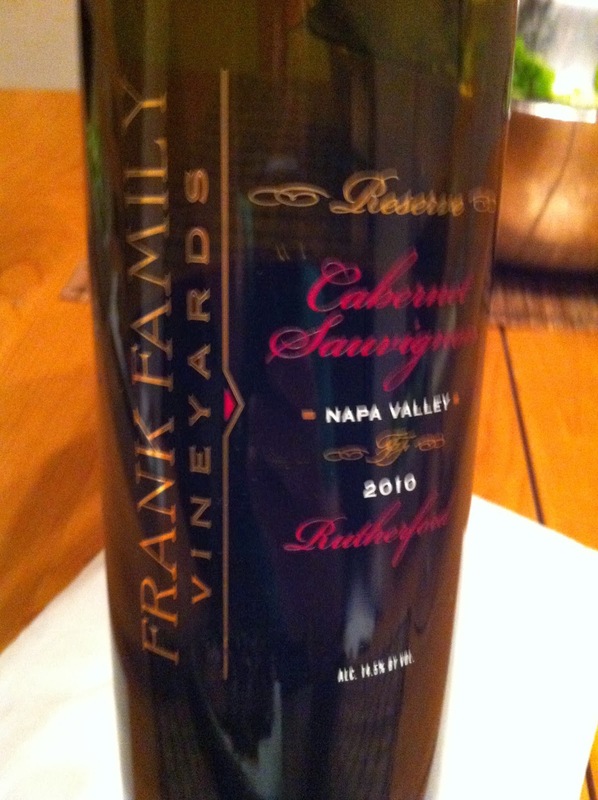 I like Frank Family wines for ordering at a restaurant, as I know they will be ready to drink and will be a good wine - important when you are paying that restaurant markup price! Wine Tip of the Week - When You BYOB...Share!